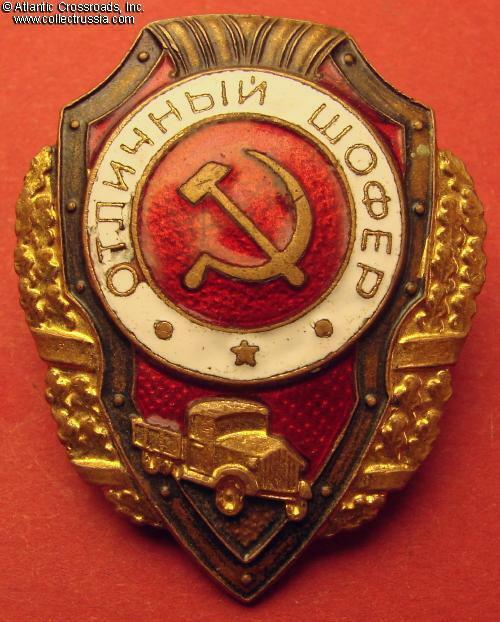 Excellent Driver badge, Pobeda Factory, mid to late 1950s. 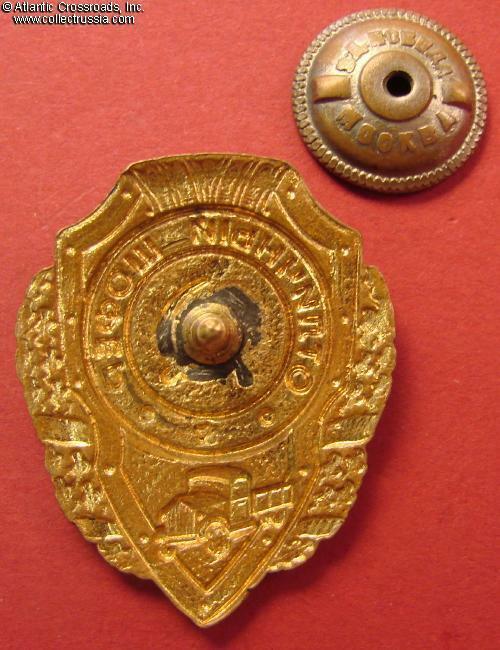 Brass, enamels; 45.2 x 36.0 mm. This is the last type of the badge, "Classic Flat" according to Airapetyan classification. Shows GAZ-51 truck without side grille on a slightly downward slope. In very fine condition. The enamel appears perfect on the first glance, but careful examination reveals a small chip and flaking to the white band, under the first letter "O" and in a small area immediately clockwise from it. The enamel has only tiny contact marks elsewhere and fully retains beautiful original luster. 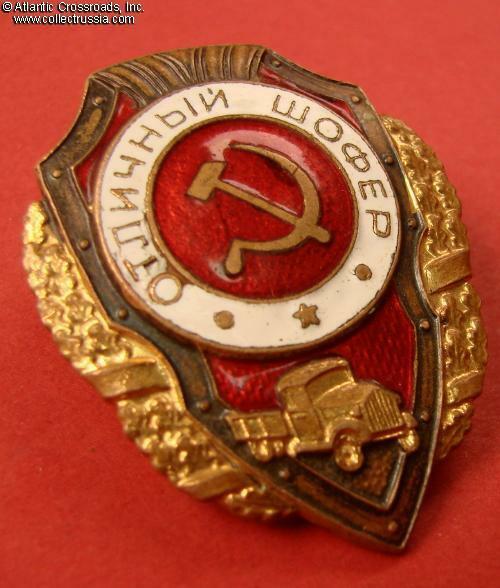 To reiterate, the damage to the band is so minimal that it does not affect the overall impression from the badge. The gilt finish is completely pristine and bright on both the obverse and reverse. The fragile black finish on the edge of the shield is also fully intact. The screw post is full length, nearly 12 mm. 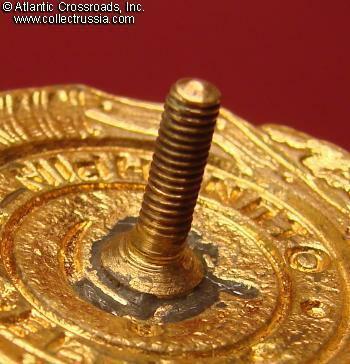 Includes original screw plate with Pobeda Factory logo. 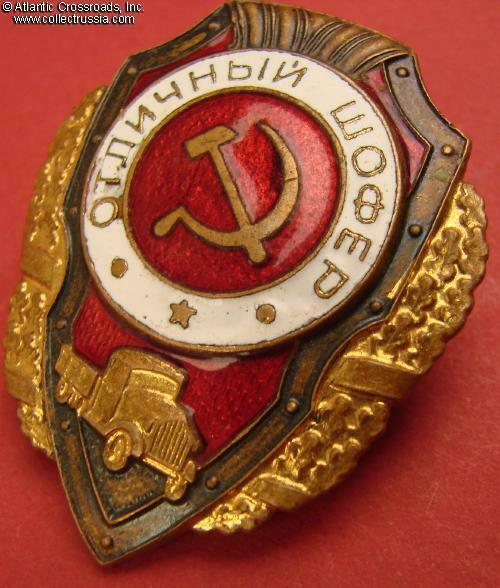 /Airapetyan,"Breast Badges of the Red Army, 1941- 1945", p. 121, fig. 10/.